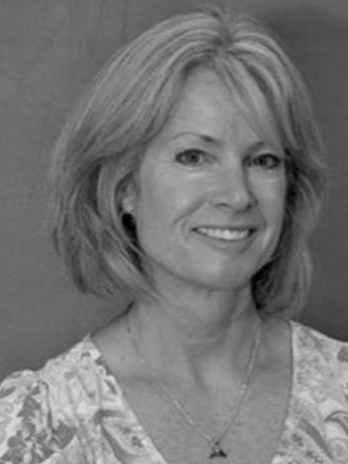 Welcome, Elaine! Tell us about you and how you started writing. I’m the author of two picture books I’LL NEVER LEAVE and EVEN SHARKS NEED FRIENDS. I started writing fifteen years ago, self-publishing my first, I’LL NEVER LEAVE, eleven years ago, after trying traditional publishers and believing in my story enough not to give up. Though the self-publishing experience challenged me, I had seen my dream come alive and decided to do it again six years later with EVEN SHARKS NEED FRIENDS. Both picture books continue to sell and the process has taught me valuable knowledge and the skills needed to be successful in the publishing industry. 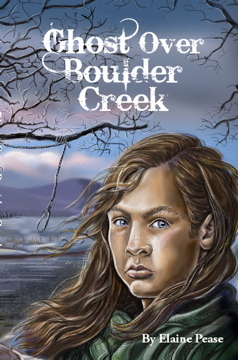 BOULDER CREEK, a history mystery aimed at eight to eleven-year-olds. I wanted to write an exciting story steeped in Colorado history, since there didn’t seem much available when my children studied the Westward Movement. The Washita River Massacre– a lesser-known event, though just as terrible as Sand Creek– became the catalyst, and tied in nicely with the Boulder ghost story that I had uncovered in my research. Weaving fact and fiction, and introducing important characters like Buffalo Bill and General Custer, GHOST OVER BOULDER CREEK tells the story of half Cheyenne, white boy Run Through Fire, who journeys after the Washita Massacre to Boulder to find his white father. Along the way he’s haunted by ghostly images and fears for his life. GHOST OVER BOULDER CREEK was submitted to quite a few traditional publishers before it found its perfect home with Filter Press, a Colorado-based publisher of quality southwestern and Colorado historical fiction and non-fiction for children and adults. How has CIPA helped you in your publishing journey? CIPA is particularly relevant at this time because of the shift to increased sales of ebooks (Amazon reporting that ebook sales surpassed hardcover) and self-published books, with Publisher’s Weekly acknowledging the “boom” in self-published books and offering (for a fee) review, listing, etc. of select S.P. books in a supplement bound into their regular magazine. CIPA’s been invaluable in providing speakers with the expertise needed to market my books. I have several school visits, book events and a California book tour in May. I’m working on introducing GHOST OVER BOULDER CREEK to Colorado school districts because it’s appropriate for their third and fourth grades’ social studies curriculum, meeting many of the required standards.